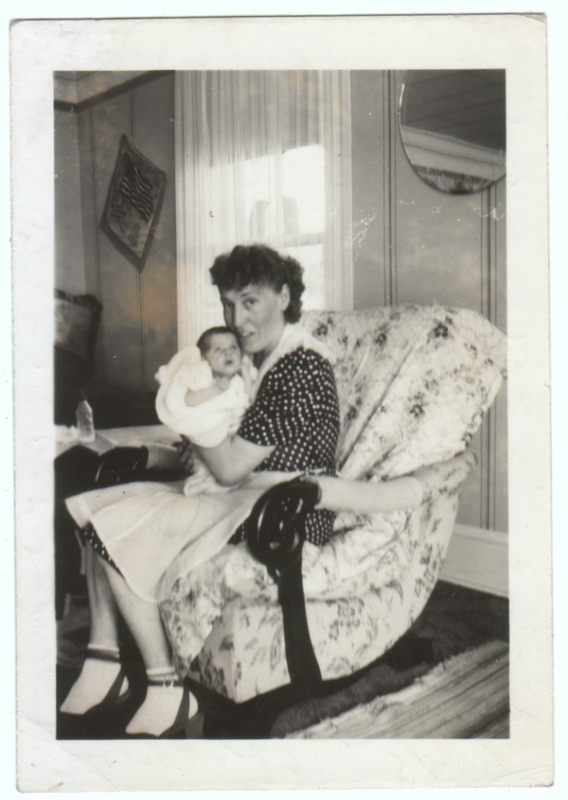 Written on the back in pencil is: this is Alice & her Baby taken 2 days before she was 3 weeks old. They took her to the Hospital the next day & she was there for 3 week. Picture taken in our front room. Sarah & Lodina was home that Sunday & Lodina took the Picture. not so good. Sometimes an ordinary photo takes on its own drama when you read what is written on the back (on those occasions when anything is written at all). I am sometimes left wanting to know the outcome of the situation (as with this photo, in which the girl is described as being in the first year of her illness), or wanting to voice my opinion to the writer (as with these photos, in which perfectly attractive women complain about their weight). Poor Alice. I don’t know what was wrong with the baby, or if the baby was even sick when this photo was taken, but this caption makes me want to reach through time and give Alice assurances. By the way, I assume “not so good” refers to the quality of the picture. Indeed it’s a little out of focus and not, perhaps, the most flattering image anybody has ever taken of Alice, but it captures a lot of emotion, and I love the period details. Well, that was an unexpected long cry you just granted me. Poor Alice and her poor babe. Hope all went well. Three weeks in hospital is impressive/dreadful for a wee creature. Oh, no! Well I certainly wasn’t trying to upset anybody, but your reaction speaks to the power that even the most mundane photos can have. And how much life is behind one second frozen on a negative. Yes, exactly. Imagine if more of these photos had such revealing captions.